It’s no secret that life as a student can be stressful and demanding, with students constantly trying to beat deadlines and pushing the limits of their intellectual abilities, all in the name of getting good grades. Sometimes, it’s not even about good grades anymore, but just surviving the semester. To cope with the pressure of improving their academic performance, many students turn to a number of tried and tested strategies, such as study groups, vitamin supplements specifically marketed to students, exercise, and meditation among many others. In recent years, hypnosis has emerged as one such method with potential benefits for improving study abilities and grades. The observation that hypnosis can benefit learning comes as no surprise, as it’s long been known that hypnotherapy also helps in addressing the symptoms of addiction, trauma, weight problems, and much more. 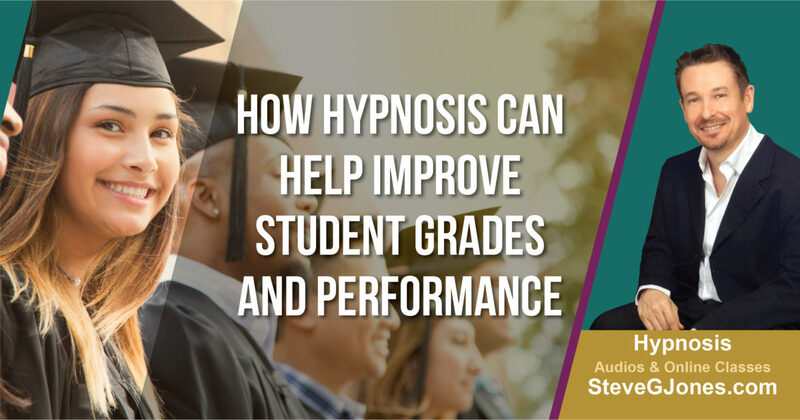 But how exactly does hypnosis impact your academic performance? Contrary to how it’s portrayed on TV and film, hypnosis isn’t about magic or trickery. Instead, real hypnotherapy is about being in a deep state of relaxation. With each hypnotherapy session, you are teaching your mind how to relax at will, a skill that will prove useful in several student situations, such as test-taking, memory exercises, presentations, and reports among others. Anxiety is often what blocks a student’s ability to learn, which is why many college students are known to abuse drugs for sleep disorders (like Ambien). By being able to switch to a relaxed state, you not only eliminate the need for any chemical-based intervention, you also make it easier for your mind to absorb information and learn. Many students know that their education is important, but that doesn’t make it any easier for them to develop a steady and constant drive to study. It’s common for students to begin the semester eager and motivated to learn, only for their enthusiasm to wane as the months go by. Hypnosis can help you maintain your enthusiasm. A hypnotherapist can put you in a relaxed state and use the power of suggestion to fight negative influences that might cause you to lose your motivation. Hypnotherapy isn’t just beneficial to students in high school or college. It can also help children as young as four years of age to develop study skills and improve their academic performance. If you have a child in need of a push in the right direction, a hypnotherapist may be of assistance. The bottom line is that hypnosis can help you overcome the fears and anxiety that hold you back from excelling in school, all while helping you maintain your motivation and fight the urge to procrastinate. If you want to be productive as a student, hypnosis is a gentle and harmless approach to achieving that goal. P.S. Here is a free hypnosis session to help you improve your memory. It not contain music or binaural tones (my enhanced improve your memory hypnosis mp3 does).